The festive season is just around the corner and it is time for all the feasting with families and friends. 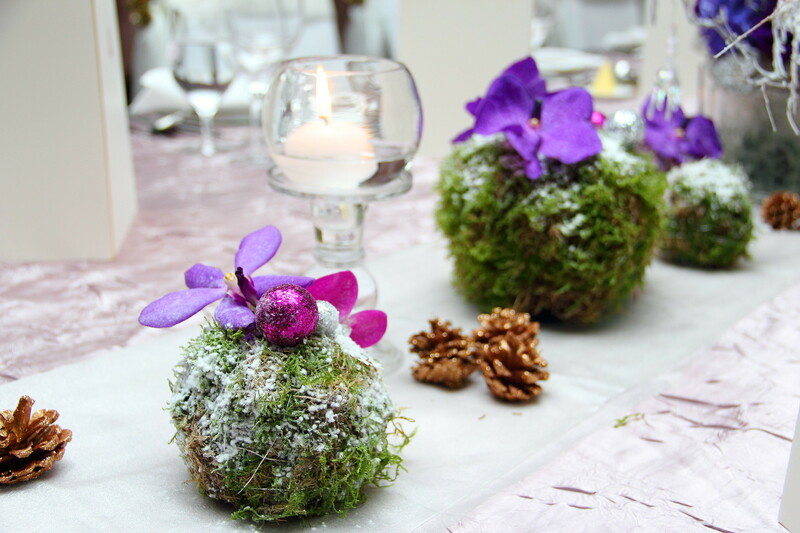 If you have not plan for your festive gathering, let me bring to you a glimpse of the offerings from Brasserie Les Saveurs and LaBrezza at St Regis Singapore. Be it the contemporary epicurean refinement of French cuisine or extraordinary handcrafted Italian delights, they are all thoughtfully curated for the joyous season. 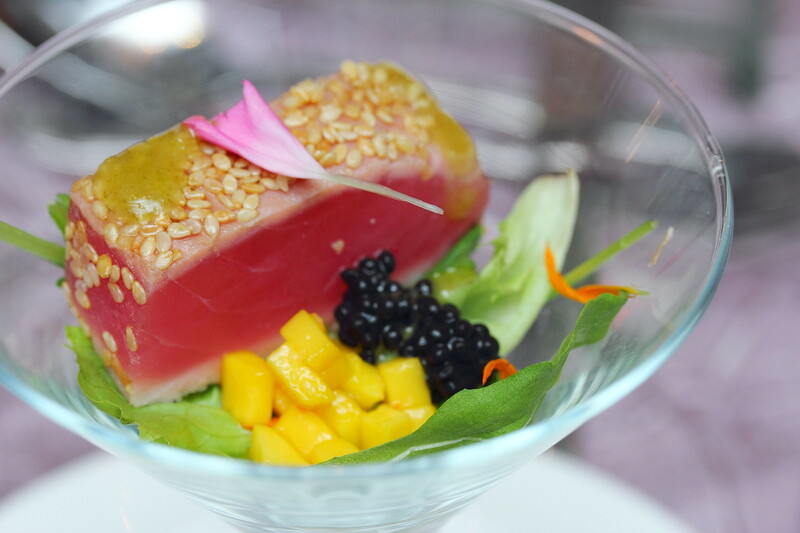 We started with an amuse bouche from Brasserie Les Saveurs, the Seared Yellow Fin Tuna with Sesame Seeds and Citrus Salsa. An interesting play of flavours with the citrus salsa's sharpness lending a much lift to the tuna. 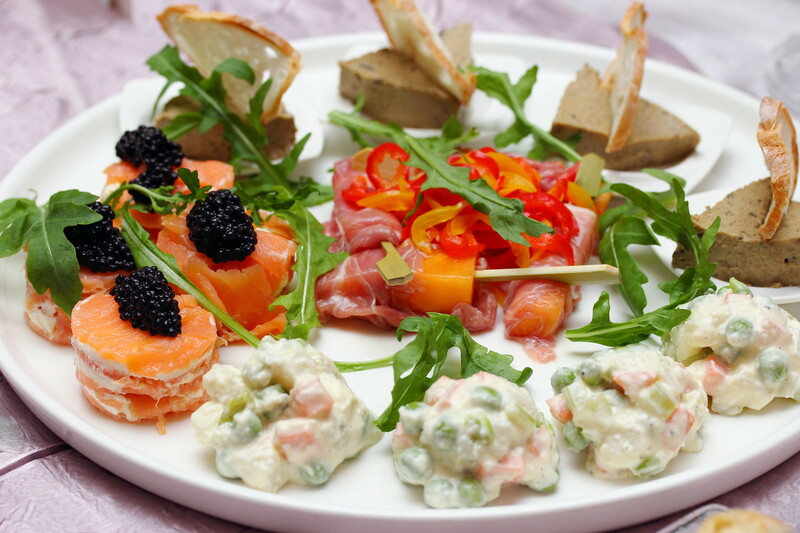 Next up is a platter of Italian Antipasti Selection from LaBrezza. 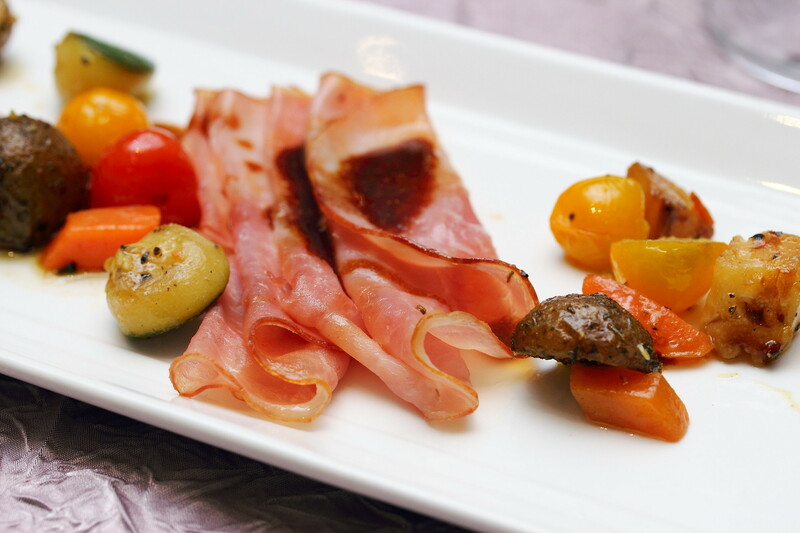 On the plate there were San Daniele Ham with Melon, Preserved Capsicums Insaata Russa, Veal Liver Pate, Smoked Salmon and Mascarpone. A delightful finger bites that are best accompanied with a glass of champagne. 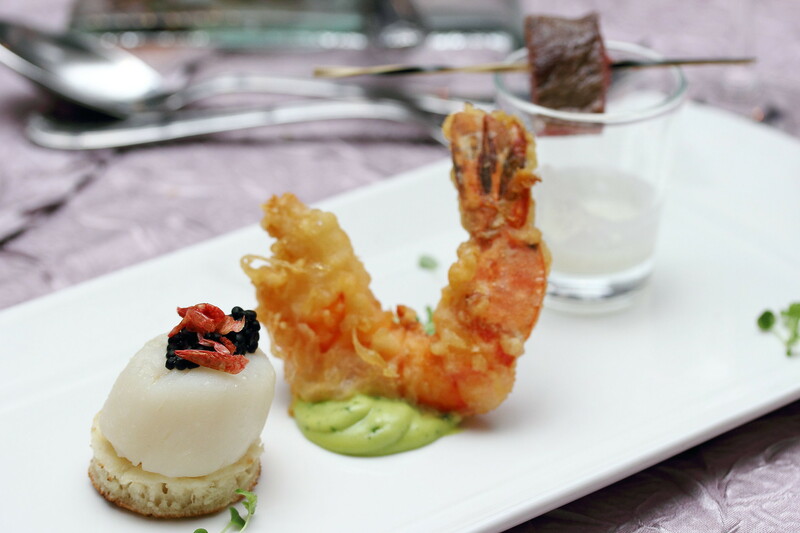 A more refine execution from Brasserie Les Saveurs is the Trio of Appetisers. Starting from left to right, we have the Avruga Pearl with Poached Hokkaido Scallops, King Prawn Tempura with Avocado Dip, Coriander and Sakura Ebi and Pan-seared Wagyu Beef Tenderloin with Parmesan Espuma. It was a decent delicate plate with many little components being put together but I struggled to find the wow factor. 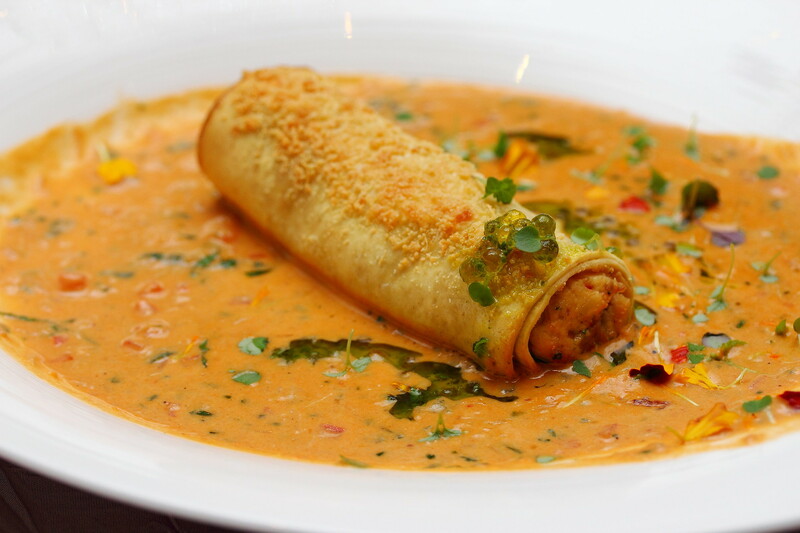 The presentation of the Homemade Cannelloni from Labrezza itself is already mouthwatering. Stuffed with boston lobster, bottarga and porcini mushroom and served with a king crab sauce, this is luxurious in a plate with its richness and creaminess. This is definitely one of the more memorable dish of the night. Flamed with Grand Marnier and served with winter truffle potato puree. 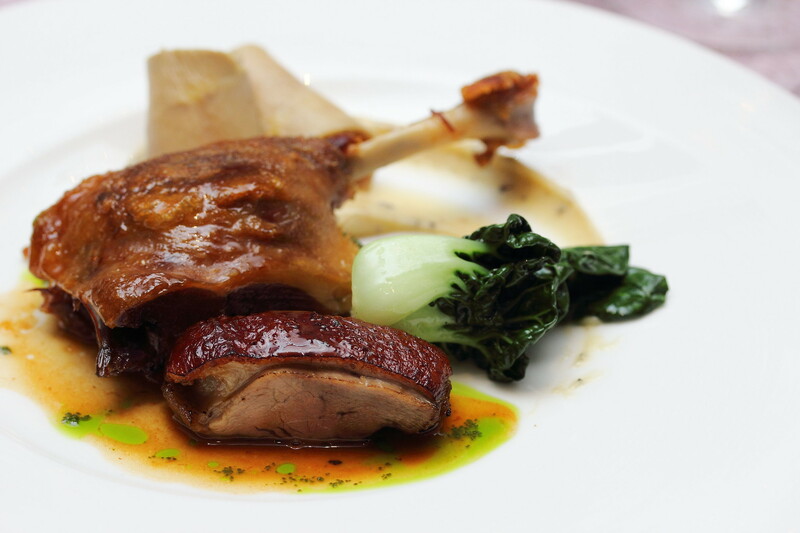 this is East vs West from Brasserie Les Saveurs with the Roasted Duck Breast and Duck Leg Confit. The roasted duck breast not surprisingly won my palate over the classic french. I always prefer the Chinese technique of preparing the poultry as it allows not only the meat but the skin to shine. What is Christmas without a Ham? 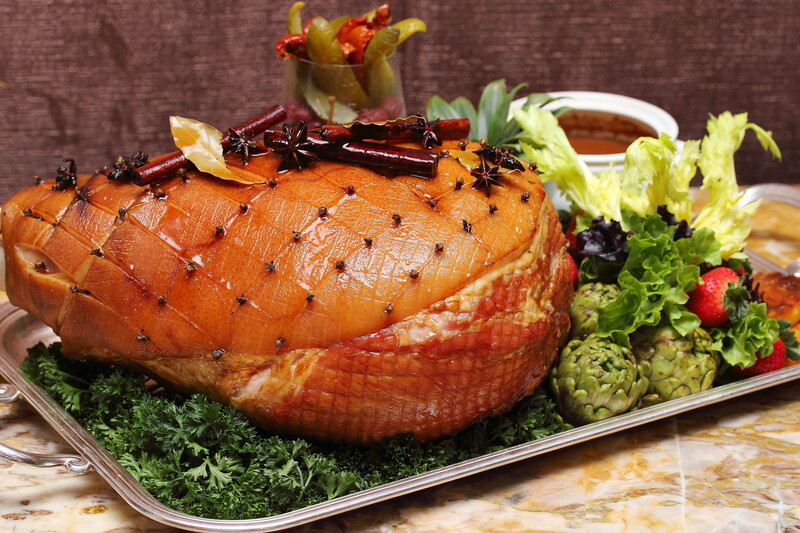 Take away this gorgeous Honey Glazed Gammon Ham to delight your guests which was beautifully cured. The honey pineapple sauce with its sweetness and sharpness further accentuated the flavour to the fullest. 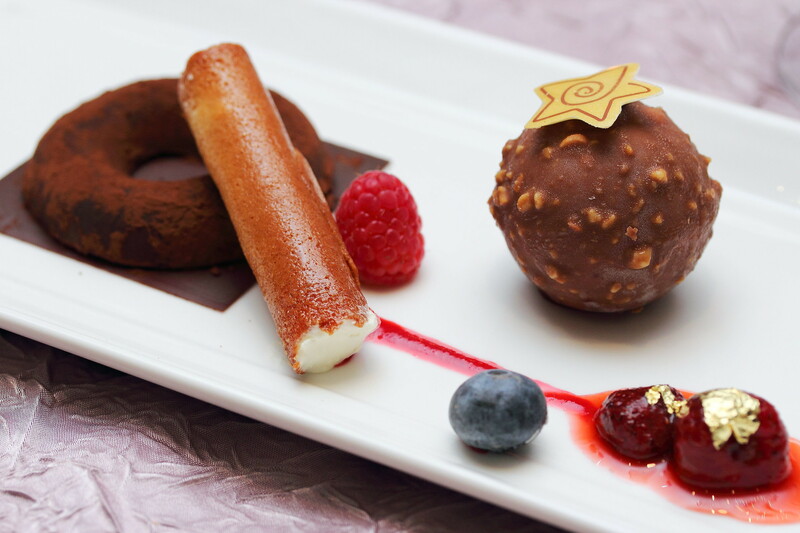 Christmas is even sweeter with this plate of dessert from Brasserie Les Saveurs that comes with the Frozen Ice Nougat and Crispy Wafer with 70% Amedei Savarin. This is indeed a sweet ending to the evening with everyone cleaning off their plate as clean as white christmas. 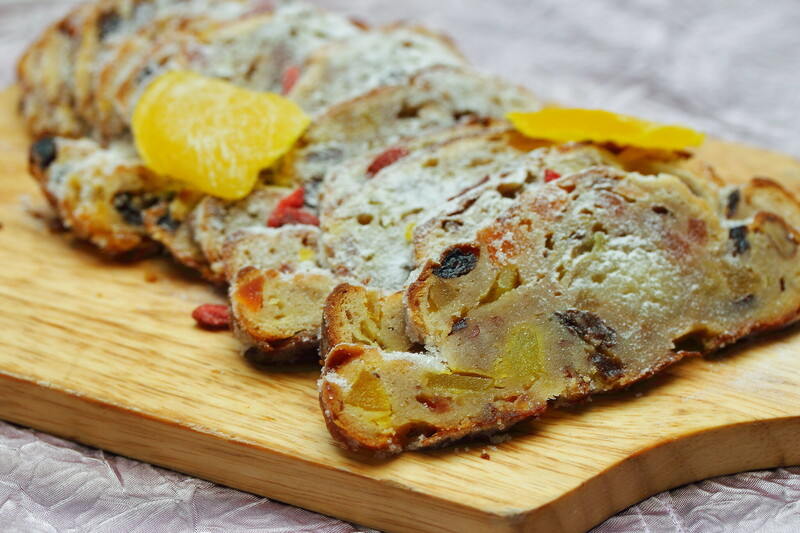 How can we leave St Regis without trying their popular Homemade Stollen with Dried Tropical Fruit? I tried it last year and the flavour has since been lingering in my mind. I am glad that I get to try it again. This is indeed a great start to welcome the festive season. Everything looks quite good and the presentations are lovely!